You can never do wrong by doing right. 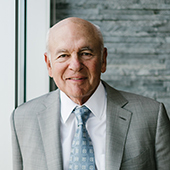 Steve Selig, President and Chairman of the Board of Selig Enterprises, Inc. has been active in the commercial real estate arena since 1968. Steve knows the importance of economic development. From 1976 to 1980 he served as President Carter’s Chief Liaison with the business community. His family endowed the Selig Center of Economic Development at the University of Georgia. He served on the Board of Commissioners of the Atlanta Housing Authority, and he was a Board Member of the Atlanta Council for International Visitors. Steve is a true leader and a pillar in the real estate community. 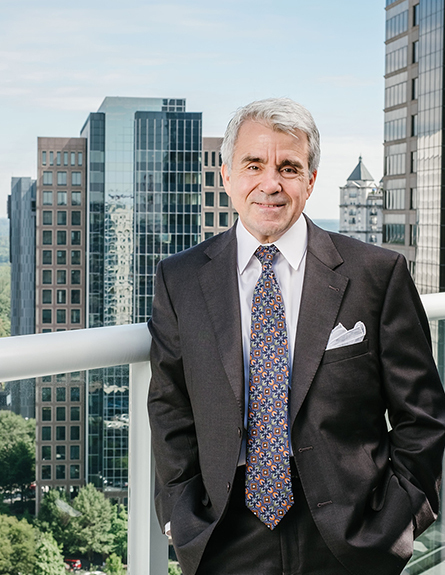 In 2014, he was awarded with the Council for Quality Growth’s Four Pillar Award, and from 2007 to 2011 the Atlanta Business Chronicle awarded the 12th & Midtown project with multiple Best in Atlanta Real Estate Awards. In1995, Steve was named Entrepreneur of the Year by Ernst & Young. In addition to real estate, Steve has a passion for education in the State of Georgia. He currently serves on the Board of Westminster Schools, Alliance Theatre and Woodruff Arts Center. He previously served on the Boards of: The University of Georgia Foundation, the Georgia State University Council, Spelman College, the Lovett Schools, and the Atlanta Ballet. In 1996 Steve was presented with the Salute to Excellence Award for his involvement at Morehouse College. Steve has also championed important healthcare research and advancement. Steve has served on the Advisory Board of: the Shepherd Center, the Board of Camp Sunshine, and the Leukemia Society Board. Steve has also served as a Founding member of Camp Twin Lakes and as the President of the National Kidney Foundation. Both through financial support and leadership roles, Steve is active in the Jewish community. From 1995 to 1998 Steve was President of the Atlanta Jewish Federation. Additionally he was National Campaign Chair for The Jewish Federation of North America from 2002-2004; he is the Past President of The Temple and the Atlanta Chapter of the American Jewish Committee. Steve was awarded the 2011 Lifetime Achievement Award by the Jewish Federation of Greater Atlanta and the 1992 Distinguished Service Award by the American Jewish Committee. Steve received a Bachelor of Business Administration from the University of Georgia. Cathy Selig is co-owner and Senior Vice President of Selig Enterprises. She is the third generation of the Selig family to be involved in the business founded by her grandfather Ben Massell. 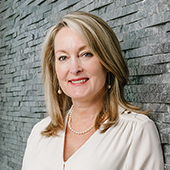 Since her employment with Selig Enterprises, Inc. in 1987, Cathy has been involved with all aspects of day-to-day operations, including leasing, implementing new development projects and generating ideas for Retail Leasing. She is supportive of personnel and maintains an “open door” policy, always making herself available to help. Cathy also serves as an Ambassador of Goodwill for the Selig family through her active community involvement. 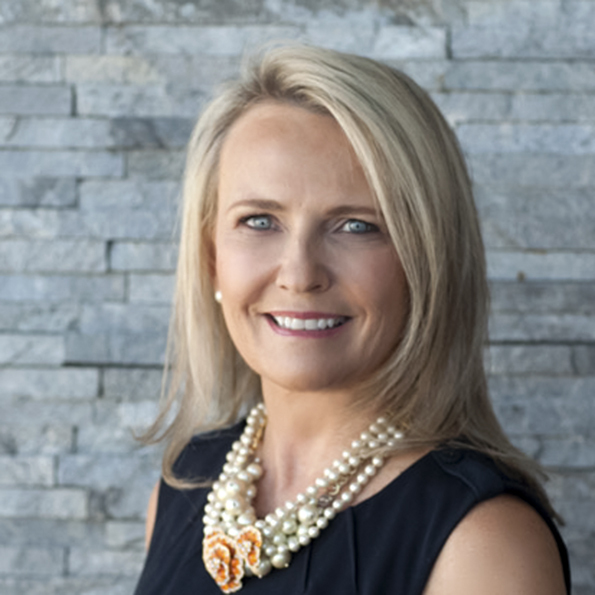 Cathy is actively involved in various business and professional organizations, including International Council of Shopping Centers (ICSC), Commercial Real Estate Women (CREW) and Midtown Business Alliance. She was Campaign Chairman for the Ben Massell Clinic, and served on the Executive Board of the High Museum. She is also a graduate of Leadership Atlanta, class of 1992. In addition to her leadership roles with Professional organizations, Cathy is actively involved in many aspects of the community. She is, or was on the Boards of Midtown Business Alliance, High Museum of Art, Jewish Federation of Greater Atlanta, The Temple, University of Georgia Museum of Art and Jewish Family and Career Services. She is past Vice President of the American Jewish Committee and has served as Campaign Chair and President of the Jewish Federation of Greater Atlanta, Women’s Division. She served as Campaign Chairwoman for the Jewish Federation of Greater Atlanta in 2012. During her tenure at Selig Enterprises, Inc., Cathy was honored by the Davis Academy at their dinner of honor and was a recipient of the Jewish Federation of North America’s Woman of Achievement award. Kathy was named a “Woman of Impact,” by Atlanta Woman Magazine in 2007. She also received the 2009 American Jewish Committee’s Distinguished Service Award. 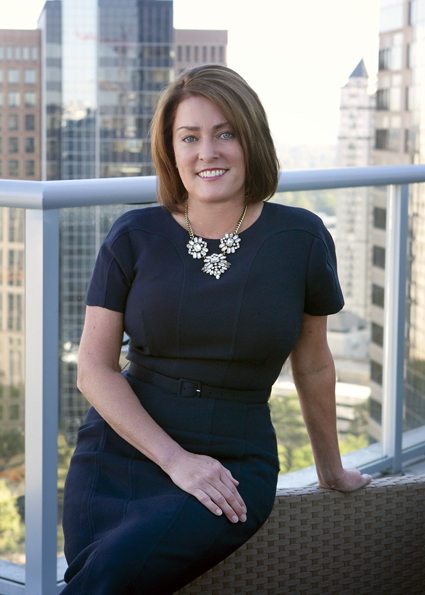 In 2014, Cathy was named one of the Top 40 Power Women in Atlanta Real Estate by Bisnow. Cathy earned a Bachelor of Business from the University of Oklahoma. Cathy’s real love, however, is her family: her husband Steve; her children Bryan and Amy, Greg and Erica; and her grandchildren Daniel, Lindsey, Gabrielle and Harrison. 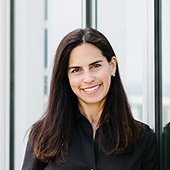 As Chief Operating Officer of Selig Development Company, Baile oversees Selig’s commercial and mixed-use development platform. Joining Selig in 2014, Baile is recognized as one of Atlanta’s leading developers whose dossier accounts for over 4,500,000 square feet of commercial, hospitality, residential and mixed-use developments and acquisitions. Notable projects include Plaza Midtown (2005), 1010 Midtown (2007) and the multi-phase, mixed-use 12th & Midtown initiative (2007-Present) which includes the Loews Atlanta Hotel, 1065 and 1075 Peachtree. With a seventh mixed-use, high-rise tower at 60 11th Street, completed last fall. Baile’s ventures represent in excess of $2.5 Billion in the Atlanta Region since 2004. A graduate of Auburn University, professional and civic associations include: National Association of Industrial and Office Properties (NAIOP), Urban Land Institute (ULI), Atlanta Apartment Association and Board of Directors for the Midtown Alliance. Since 2005, JoAnn has lead Acquisitions, Development, and Project Finance for Selig Enterprises. During this time, JoAnn has acquired more than $90 million of land and improved properties; sourced more than $300 million in project financing; and is in the process of leading Selig’s partnership interests in developing $270 million in new projects, including a joint venture between Selig and Carter to transform Sandy Springs through the retail and multi-family development portion of the new Sandy Springs City Center project. JoAnn is very involved in the company’s strategic operations and planning. Each year she plans and leads the company’s off-site strategic planning meetings, which include a full portfolio review and identification of financial resources to implement the company’s new investment efforts. Prior to coming to Selig, JoAnn served as the founding Executive Director and President of the University of Georgia Real Estate Foundation, a 501(c)(3) none-profit created to acquire, development and finance real estate projects to enhance the university. In only five years, her team acquired 16 properties totaling 90 acres, completed $200 million in tax-exempt financing, and developed more than 1 million square feet of new properties on campus. From 1985 to 1999 JoAnn was Senior Vice President and COO of TriNet Corporate Realty Trust and iStar Financial [NYSE:SFI] the successor company of the 1999 merger of TriNet and Starwood Financial Inc. During JoAnn’s tenure she was responsible for all asset management and operations responsibilities including leasing, dispositions, risk management, and acquisition underwriting of the company’s 30 million sf equity portfolio valued at approximately $2.5 billion. JoAnn is an active volunteer in the community. She currently serves as Chair of the Kennesaw State University Foundation. Previously, she served as Chair of the Nominating and Governance Committee, Chair of the Real Estate Committee, and Vice Chair. JoAnn is past Vice Chair of the Capital Improvements Committee for the Piedmont Park Conservancy and was a member of Piedmont Park Conservancy’s Executive Committee. JoAnn serves on the Managing Board of the Urban Land Institute (ULI) of Atlanta. From 2011 to 2014 she served as Chair of ULI’s Urban Land program. The Urban Land program goes into high schools and universities and facilitates a complex real estate development competition for students in government, economics, real estate, and business classes. JoAnn has and personally mentored students through program at several institutions. She has spoken to classes in Georgia Tech’s MBA and real estate programs, and been a frequent panelist and speaker at ULI’s Center for Leadership. If I am not for myself, who am I? If I am for myself alone, what am I? If not now, when? Ron Stein is a Certified Public Accountant. He serves as the Chief Financial Officer of Selig Enterprises, Inc. and the Treasurer of AAA Parking. Ron has been with the Company since 1993. His duties include supervision of all financial, operational and tax matters for the Company and its subsidiaries. 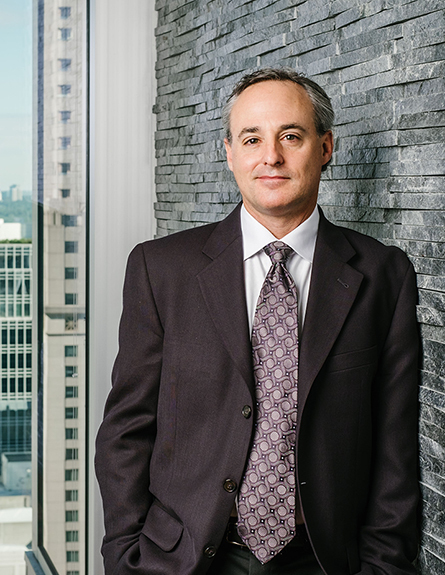 Prior to joining Selig, Ron was the Managing Partner of Bach, James, Mansour & Co., P.C., a local Atlanta C.P.A. firm. At Bach James, he supervised accounting work for Selig Enterprises for 18 years and provided tax, accounting, estate planning, and business consulting services for the company, as well as for a variety of businesses, non-profit organizations and individual clients. Ron is active with several professional organizations including the Georgia Society of C.P.A.s and its Real Estate Division, the American Institute of C.P.A.s, the International Council of Shopping Centers (ICSC) and the Real Estate Investment Advisory Council of Atlanta (REIAC). Ron attended the University of Florida where he received a B. S. degree in Accounting. Matt has been involved on numerous fronts on several high-profile mixed-use real estate properties, including 111 8th Avenue (Google’s Headquarters), Chelsea Market and One Times Square in NYC; the Georgetown Renaissance Portfolio in DC; and Pacific Place in San Francisco. Locally in Atlanta, his experience includes Ponce City Market, White Provisions and the management and disposition of 999 Peachtree - a Class A 622,000 square-foot office tower. As Vice President, Director of Construction with Selig Enterprises, Inc. since 1994, Bonnie has managed projects exceeding 2.5 million square feet. In this capacity, Bonnie is responsible for construction and development of new projects as well as managing redevelopment and tenant improvements of Selig’s 12 million sf portfolio of retail, industrial, office, and multi-family properties throughout the Southeast. These responsibilities include the development process including due diligence, permitting, and management of design consultants; budget review, contractor negotiations, project scheduling, and review of tenant leases in regard to the Landlord’s scope of work. Some of Bonnie’s notable projects include: Seabridge Square, a 170,000 square-foot power center redevelopment; Plaza Midtown, an urban mixed-use development; Buckhead Triangle, Mansell Point, The Terraces at Windward, Crystal Beach Plaza; and 12th & Midtown, a multi-phase urban mixed-use development. Four phases have been completed totaling 1,154 residential units; 138,949 square feet of retail; 773,204 square feet of Class A office; and a 414-room Loews Hotel. Bonnie holds registrations in LEED AP BD&C from the Georgia Real Estate Commission and she is a Licensed Real Estate Salesperson. She is activly involved in Atlanta Advisory Committee, Council for Quality Growth Board of Advisors, The Ron Clark Academy as Co-Chair of the Building Sub-Committee, International Council of Shopping Centers (ICSC; and a member of SPI-9 Development Review Committee. Bonnie is actively involved in Lindbergh Lavista Corridor Coalition Board, Piedmont Heights Civic Association Planning Committee, 1075 Peachtree Master Association Board (2012-2015) and the 1010 Peachtree Master Association Board (2008-2013). Bonnie earned a Bachelor of Business Administration from University of Illinois- Lake Land College. 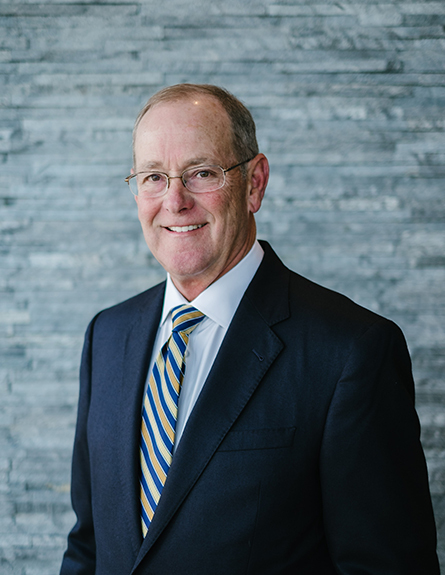 Kenneth J. Clayman serves as Senior Vice President, General Counsel and Corporate Secretary for Selig Enterprises, Inc. Ken holds a Juris Doctorate from the Emory University School of Law and a Bachelor of Science in Economics from the University of Pennsylvania, Wharton School. He has been a member of the State Bar of Georgia since 1993. Ken has extensive commercial real estate experience in the retail, office, industrial and mixed-use areas. 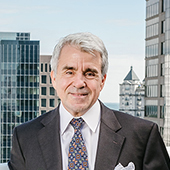 He has served as lead counsel in the development of numerous major shopping centers and mixed-use developments. He oversees all aspects of the commercial development from raw land acquisition through financing, construction, operation and sale, including the negotiation and drafting of all related documentation. 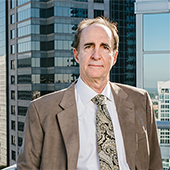 Ken is involved in all aspects of legal matters for Selig Enterprises, Inc. and its affiliates, including negotiation of contracts, leases, joint venture agreements, vendor agreements and easements, as well as oversight of litigation and other dispute resolution. Ken has a wide array of commercial leasing experience in all areas and specifically has significant experience in negotiating national big box retail lease transactions throughout the United States. 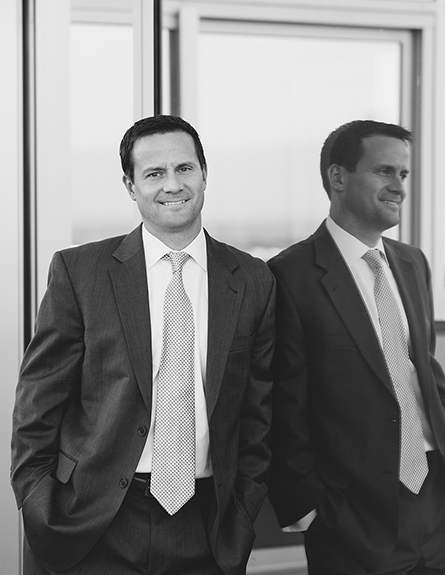 Prior to joining Selig, Ken practiced law in the private sector for more than 20 years. Ken has authored several articles related to shopping center development and leasing, and, is a frequent speaker at ICSC events. 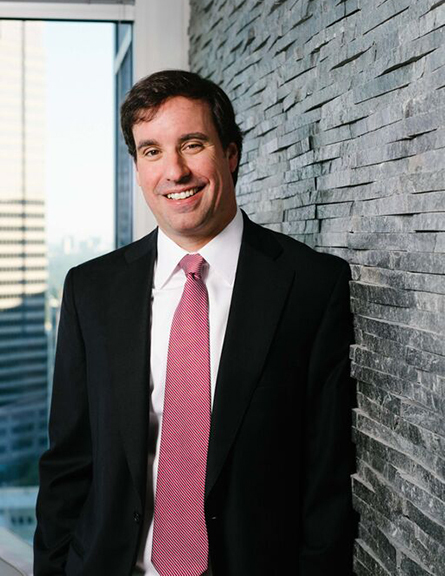 As Executive Vice President of Commercial Leasing and Office Development, Ahrenkiel is responsible for activating office developments on many of Selig’s prime land holdings across Atlanta. 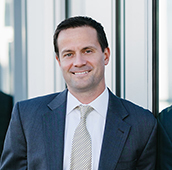 Chris came to Selig in 2018, after 11 years with Tishman Speyer, where he was the Atlanta Managing Director, overseeing the firm’s activities in the region. Most recently, he was responsible for the development, leasing and sale of Three Alliance Center, a +500,000 SF trophy office development which set an Atlanta pricing record, trading for $534/SF. Prior to that, Chris led the leasing for Two Alliance, Colony Square, Midtown Plaza, Interstate North and Palisades. 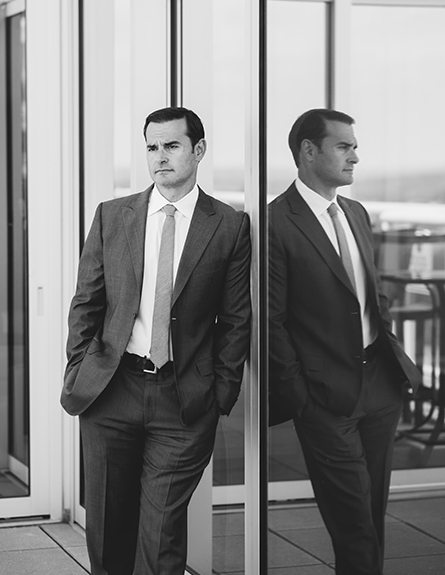 Chris started his commercial real estate career at Trizec Properties. 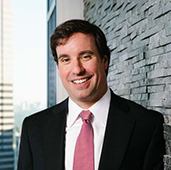 Previously, Chris served on the Board of REGA (Real Estate Group of Atlanta), Georgia Institute of Real Estate, Georgia State University Real Estate Alumni Board and was a co-founder of NAIOP Future Leaders (NFL). Chris graduated with a B.B.A. from the University of Georgia (1998) and with an M.B.A. with a concentration in Commercial Real Estate from Georgia State University (2003). When not working or volunteering, Chris enjoys spending time with his two sons, Byrne and Porter. 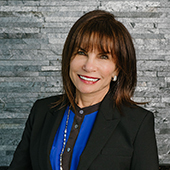 Shirley Gouffon, Senior Vice President, of Selig Enterprises, Inc., has an extensive and impressive background in commercial real estate development and leasing. Shirley’s focus in the industry and area of expertise is street-level urban retail. In her role as Senior Vice President strongly focuses on 12th & Midtown, a 25-acre, $5 billion mixed-use development in Midtown, Atlanta. Shirley is responsible for the Retail Component, which is being developed in seven phases and will ultimately feature more than 500,000 square feet of flagship quality retail space. To date, Shirley has been instrumental in bringing an impressive line-up of world-class tenants to Midtown, including STK, RA Sushi, Ri Ra Irish Pub, Exhale Spa, Café Intermezzo, Ribalta, Princi Italia, Babalu Tacos & Tapas, Dancing Goats Coffee Bar, Bulla Gastrobar and Steel. All of these tenants have been thoughtfully targeted for their unique appeal to the Atlanta market in general as well as their compatibility with the dynamic Midtown demographic. The genesis of this vision stemmed from the desire to lay the foundation for Midtown to become a major regional, shopping, dining and entertainment destination. Shirley’s unique vision for urban street-level retail is exemplified throughout Midtown in Selig’s award winning projects including 12th & Midtown, The Plaza Midtown and Brookwood Place on Peachtree, which have helped establish Midtown as one of Atlanta’s most desired areas to do business. In addition to overseeing a portion of Selig’s retail portfolio, Shirley has been periodically engaged by third party clients, including Wood Partners, Equity Office and Paces Properties, for her retail expertise and unique approach to branding and merchandising. Shirley was retained by Paces Properties in 1996 to oversee the remerchandising of Vinings Jubilee, a lifestyle center development, which culminated in the creation of one of Atlanta’s premier shopping destinations. 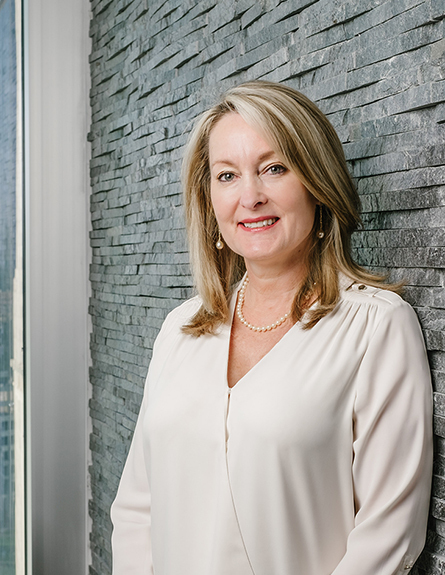 During her tenure at Selig, Shirley has been actively involved in leadership positions with various professional and real estate trade organizations, including ICSC, REGA and CREW Atlanta. 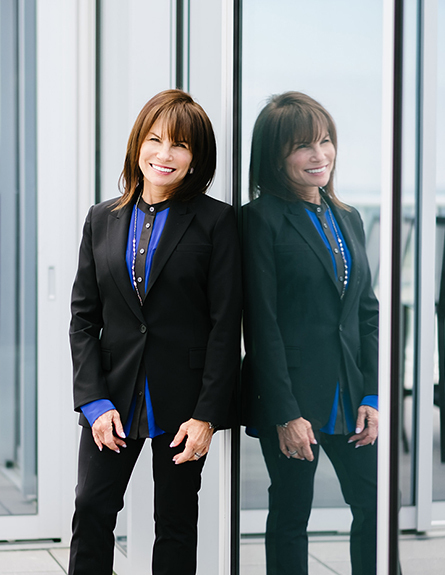 Considered an industry leader, Shirley has consistently maintained a commitment to excellence in all aspects of the commercial real estate profession. Bill Stogner, Senior Vice President, and specializes in retail leasing along with development and acquisition of new retail centers. Bill has been employed by Selig Enterprises, Inc. since 1976 and has worked in all facets of leasing, including office, industrial and retail. While at Selig, Bill has been involved in the development of several power centers. Most notably, the 300,000 square-foot, Walmart anchored District at Howell Mill; the redevelopment of Seabridge Square in St. Augustine with Marshall’s, ULTA, PetSmart and Staples; development of Presidential Commons in Snellville , Ga., a 376,000 square-foot center with The Home Depot, Kroger, Petco as tenants; and the 300,000 square-foot redevelopment of Suburban Plaza in DeKalb County, Ga.anchored by Walmart, HomeGoods, Ross Dress for Less and L.A. Fitness. During his career, he has been active in various professional and trade organizations, most notably as Southeast Program Chairman for ICSC in 1993 and as State Director for ICSC from 1994-1997. Bill attended Georgia State University where he graduated with a Bachelor’s Degree in Land Development. Jim Saine serves as Vice President, Office and Industrial, and has been with Selig Enterprises, Inc. since 1992. In his current role, Jim holds direct leasing responsibilities for more than 1,200,000 square feet of office and 3,000,000 square feet of commercial and industrial space. He has consistently maintained exceptionally high occupancy and his notable projects include assisting in the identification and acquisition more than 1 million square feet of industrial space in the West Midtown / Chattahoochee submarket; releasing 75 Marietta and 84 Walton after a 115,000 square-foot historic renovation; and 23,000 square feet for Emory University School of Medicine at Emory Commons. Jim previously worked for Synco Properties, Inc., a Charlotte, North Carolina based Real Estate Syndicator. 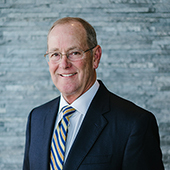 As District Vice President and later as Regional Vice President, Jim was involved in all aspects of this business, with particular emphasis on leasing and property management for Office Properties located in Georgia, North Carolina and Tennessee. Jim is actively involved in the commercial real estate community. He is a Certified Commercial Investment Member (CCIM), Georgia Chapter; CORENET Gobal, Georgia Chapter; Georgia Real Estate Commission, Licensed Broker; North Carolina Real Estate Commission, Licensed Broker; Tennessee Real Estate Commission, Licensed Broker; National Association of Office Properties (NAIOP); Council for Quality Growth; Central Atlanta Progress; and a member of the Atlanta Board of Realtors. Jim earned a Bachelor of Science and Business Administration in Marketing and Finance from the University of North Carolina at Chapel Hill. 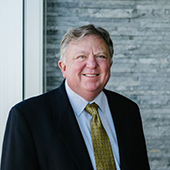 Kent Walker serves as Vice President and has been employed with Selig Enterprises since 1977. In this position, Kent is responsible for the leasing of Selig’s 5,000,000 square foot Industrial Portfolio. Kent, on occasion, also represents third parties in a brokerage capacity. Kent is actively involved with several professional organizations: he is an Associate Member of the National Association of Industrial and Office Properties (NAIOP), has served on the NAIOP Forum for Industrial Development, and is an Affiliate Member of the Society of Industrial Office Realtors (SIOR). Kent has also been recognized as a million dollar producer by NAIOP for several years. Additionally, he serves as a Board Member for the Fulton Industrial Community Improvement District. Kent received an A.A. from Georgia Military College, a BBA in Real Estate from Georgia State University and a JD from Atlanta Law School. Kent is a member of the Georgia Bar Association and the American Bar Association. Mindy Selig is Vice President, Leasing Associate at Selig Enterprises and has been with the company since 1997. She is currently responsible for helping lease Selig’s 4,000,000 square foot retail portfolio. Mindy has been involved in the Atlanta Commercial Board of Realtors, where she was named a Top 5 Producer in 1996; International Council of Shopping Centers (ICSC), and Commercial Real Estate Women of Atlanta (CREW). 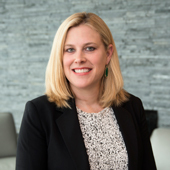 Prior to working at Selig, Mindy was employed at Cushman & Wakefield and Branch / Regency in a Retail Leasing capacity. Mindy is actively involved in many aspects of the community and serves on the Boards of Jewish Federation of Greater Atlanta (JFGA). Mindy earned a Bachelor of Arts from Tulane University. As Senior Vice President, Greg’s role reaches many facets of the company including analyzing investments and redevelopment of the existing portfolio, identifying new acquisition and development opportunities and representing Selig in the business community. Before joining Selig in 2019, Lewis founded and ran Innovative Roofing Group for 15 years. He sold the company in 2018. Its partial client roster included CBRE, JLL, Colliers, Jamestown, DDR, Lincoln Property Group, Simon Property Group, Avison Young and Home Depot. 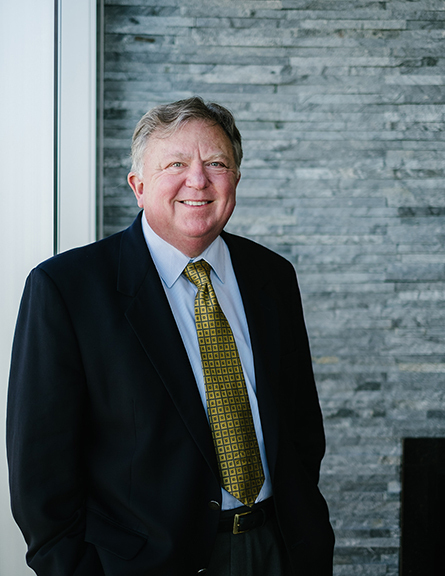 Prior to founding Innovative Roofing Group, Lewis worked in Commercial Real Estate roles with Capital Commercial Real Estate, Dewberry Capital and ICG. Greg is very involved in the community both professionally and civically. He is an active member of Building Owners and Management Association (BOMA), International Council of Shopping Centers (ICSC), National Roofing Contractors Association (NRCA), Institute of Real Estate Management (IREM), and Metro Atlanta Chamber (MAC). Previous board appointments include Jewish Federation of Greater Atlanta and The Epstein School. 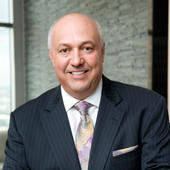 He currently holds board positions at Woodward Academy, Selig Enterprises and Roofers Insurance Trust. Greg completed his Bachelor of Business Administration at The University of Arizona and attended Woodward Academy. Outside of work, Greg enjoys spending time with his wife Erica and two children Gabrielle and Harrison. He enjoys traveling, snow skiing and is an avid offshore tournament fisherman. Over the past two decades, Malloy has worked in a variety of capacities within the development industry, including development planning and execution, marketing and branding, leasing, and public relations. Today, Malloy is a senior leader within Selig Development Company, a subsidiary of Selig Enterprises. Malloy is focused on the development of Selig’s mixed-use developments including: The Works at Chattahoochee, 1105 West Peachtree, City Springs, and 1200 Spring Street. 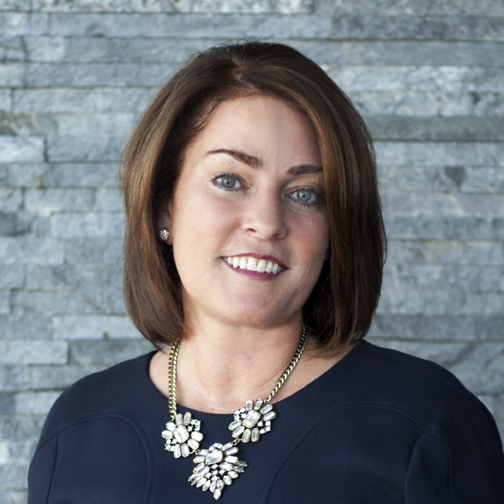 In addition to her experience executing developments, Malloy possesses a strong marketing, branding, and communications skill set, which allows her to provide a unique perspective to any development. Prior to joining Selig, Malloy spent 12 years with Carter where specialized in the development of complex, large-scale urban mixed-use projects. The majority of these projects were public-private partnerships (P3). Malloy also led Carter’s Advisory Services business unit and all of Carter’s internal and external corporate and project-level marketing and communications teams. 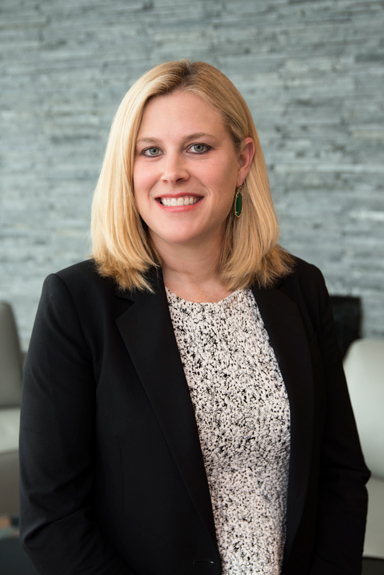 Prior to earning her MBA, Malloy worked at Morgan Stanley where she performed financial analysis and played a large role in client relations, providing her with a solid understanding of the investment banking and securities. Philip Rodbell is Assistant Vice President specializing in Development, Acquisitions and Finance. 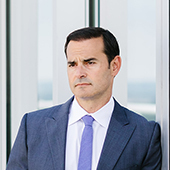 He is responsible for monitoring and reviewing Selig’s portfolio of more than 12 million square feet of industrial, office and retail properties. 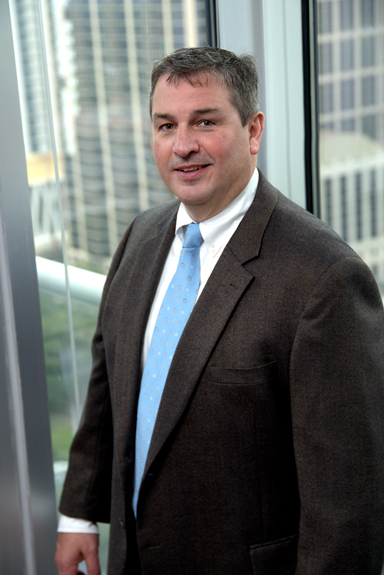 An Atlanta native, Philip has worked in commercial real estate since 1997. Prior to joining Selig Enterprises in 2006, Philip was a Financial Analyst at Cousins Properties where he assisted with the development of outdoor lifestyle retail centers. Prior to Cousins, Philip worked on acquisitions and dispositions at Duke Realty Corporation. Preceding Duke, Philip was a Relationship Underwriter for commercial real estate at Bank of America in McLean, Virginia. Philip is an Urban Land Institute Center for Leadership graduate. He received a Bachelor of Business Administration in Finance from The University of Texas at Austin and an MBA from Emory University’s Goizueta Business School. 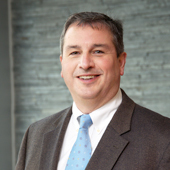 Greg serves as Vice President of Construction and has been employed at Selig Enterprises, Inc. since 2000. Prior to joining the company he worked for several architecture firms in the Atlanta area. As Vice President of Construction, Greg manages the pre-development, design, and construction of new shopping centers and mixed-used developments, as well as the redevelopment and adaptive re-use of existing properties. In addition to managing all aspects of the design and construction process, his responsibilities also include coordinating the real estate development process, including due diligence and entitlement/permitting approvals. 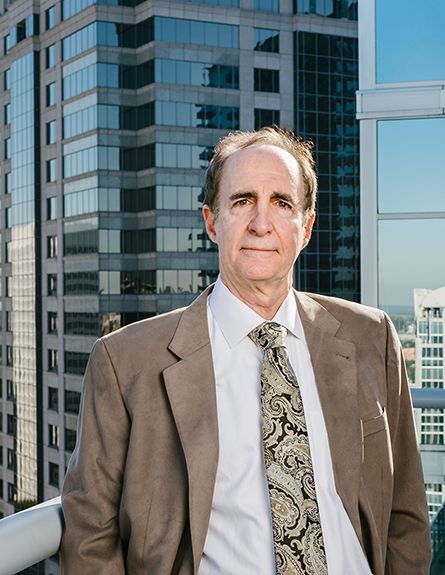 Greg also manages Selig’s Planning Department and plays an active role in construction matters pertaining to the leasing and property management activities integral to maintaining Selig's existing 12,000,000 s.f. portfolio of retail, industrial, and office properties. Greg is an accredited LEED professional with his sustainability focus being on building design and construction. He is a 2012 graduate of the Urban Land Institute’s Center for Leadership and was recently selected to serve on the ULI Atlanta Creative Development Council. Greg is a member of the International Council of Shopping Centers and the Atlanta Commercial Board of Realtors. He formerly served as Secretary on the Board of Directors for the Lindbergh-Lavista Corridor Coalition and is a current member and former Chairman of the DeKalb County Fiscal Oversight Advisory Committee. Greg received a Master of Architecture from The Ohio State University and a Bachelor of Design degree from the University of Florida. Perseverance is the hard work you do after you get tired of the hard work you already did. Larry is responsible for project planning assistance in pre-development, leading the design team coordination and performing overall construction management until project delivery. He facilitates design completion, manages development budgets and delivery schedules, communicates with project partners / lenders during development and executes the construction process through completion to insure smooth transitioning to operations / management. This also includes any warranty resolution. 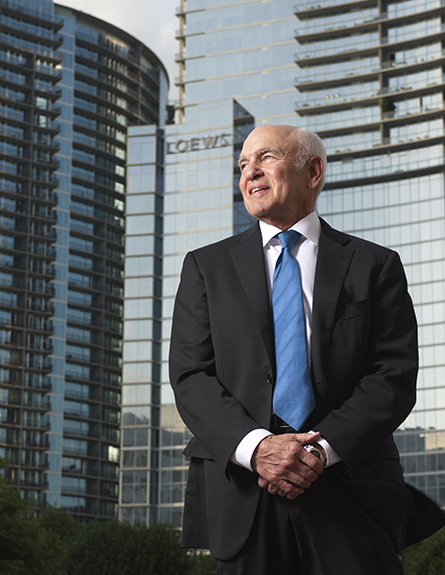 For the past 13 years Larry has held a key management position in the development and construction of over $ 1 billion in multi-use projects in midtown Atlanta including Plaza Midtown, 1010 Midtown, 1075 Peachtree / Loews hotel, 77 12th & 60 11th Streets. Prior to that, he held management positions in the development and construction of student housing units, apartment communities, office buildings, retail centers, church, hospitality, entertainment, and healthcare facilities in the Southeast. Larry received a Bachelor of Science degree in building construction from Georgia Institute of Technology. The greatest gift a man possesses is the ability to work hard at something that is worth working hard for. Scott Selig found many opportunities worthy of his hard work during his lifetime. 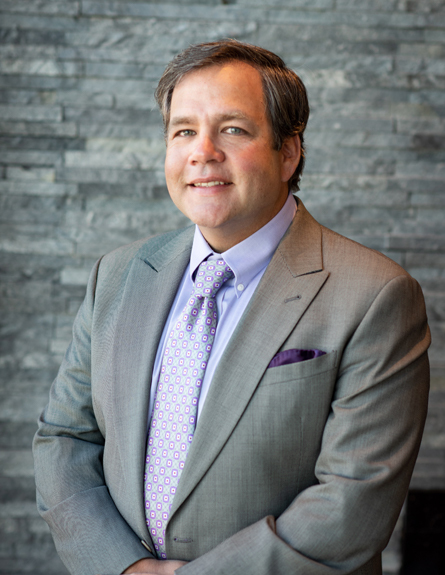 He served as Executive Vice President of Selig Enterprises and the driving force and President of the recently launched Selig Development, an arm of the nearly 100 year-old family held real estate company. Scott was focusing on the future and growth of the business, for his family, his colleagues and his community. During his 17 year tenure at Selig, Scott’s hard work, dedication, and leadership have been noted and recognized throughout the business and civic community. 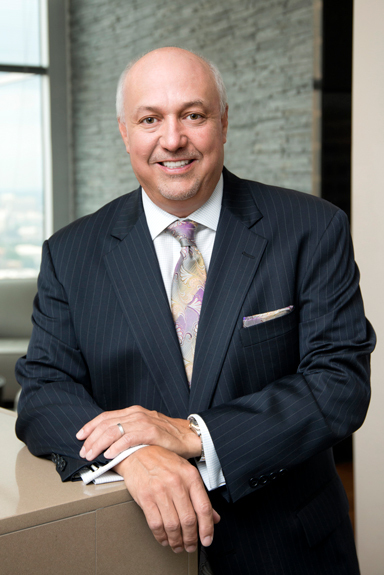 Scott has served on the Atlanta Commercial Board of Realtors, Midtown Alliance, Buckhead Community Improvement District, The Council for Quality Growth, City of Atlanta Workforce Development and the Buckhead Coalition. 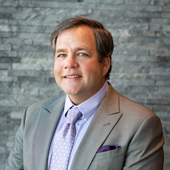 Additionally, Scott chaired the City of Atlanta Technical Advisory Committee and has been an active member of YPO Southern 7 and the Grid Iron Society of the University of Georgia. 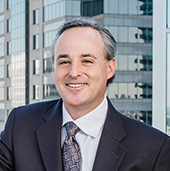 Scott’s impact on Atlanta and the entire region has been recognized numerous times through such awards as: The State of Georgia Outstanding Citizen Recognition Award, Atlanta Business Chronicle’s “40 under 40 to Watch”, Atlanta Commercial Realtors Presidents Award, and in 2016 their Realtor of the Year Award. Most recently the Atlanta Business Chronicle recognized Selig as a Most Admired CEO. Earlier this year, the American Lung Association honored Scott as a Lung Force Hero, in appreciation of his work as fundraiser and advocate for the research and treatment of lung cancer, the disease that led to his death on October 27, 2017. Prior to his professional and civic life, Scott graduated from the Westminster Schools, class of 1988. At the University of Arizona, Selig received an undergraduate degree in Business Administration and served as Chapter president of Zeta Beta Tau. In 1995, Selig earned an MBA from the University of Georgia, Terry College of Business. Over the past week, as family and friends gathered at his home to say their good-byes and to reminisce about their son, brother, father, friend, uncle, mentor and leader, one recurring theme seemed to dominate. Scott’s life was a mosaic of great proportion. Colorful pieces of personality, character, intuition, intellect, clothing, and an abundance of inspiration were woven together, over an adventure filled and often trailblazing 47 years. Selig left a profound mark on those whose lives he touched directly and indirectly. For the more than 3000 people who connected through the power of social networking, billboards, t-shirts, wristbands, videos and dedication to the ScottStrong movement that his illness ignited, his strength, courage and spirit will live on. It is no coincidence that as Scott learned of and shared his diagnosis of stage four lung cancer in October of 2016, the force of his determination to ‘die with cancer and not from cancer’ would inspire loved ones and strangers alike, to rally around a man, who this time was the underdog. No coincidence, because it was Scott who was there for so many and who was accepting of all, regardless of their station in life. Through his early and visionary involvement and leadership at the Ron Clark Academy, his greatest communal passion, and during his board service at Camp Twin Lakes and at the Jewish Federation of Greater Atlanta, Scott engaged with great conviction, an empathetic heart, quiet generosity and genuine humility. There is no underestimating Scott’s resolve to do what he could to make the lives of others, often strangers, better. Countless friends and a large family cherished Scott and loved him for his unique spirit, his independence and his authenticity. Their lives have been and will continue to be illuminated by the rich, colorful life that Scott Selig lived. Scott’s family includes his loving sons Cooper and Sam and their mother Amy Selig; his parents Steve and Linda Selig and Janet Selig and Jeff Bernstein; siblings Mindy and Dave Shoulberg, Blake and Stephanie Selig, Michael Shenk, Stacey and David Fisher; Mara and Justin Berman; and Bret Bernstein; nieces and nephews, Carly, Jordan, Casey, McKenzie, Ansley, Parker, Zachary, Alison, Lindsay, Molly, Aaron, Justin, Ella, Avery, Davis, Max and Parker; special friend, Samantha Wexler. Memorial Contributions to The Scott Selig Scholarship Fund at the Ron Clark Academy would be appreciated.